Medical Aesthetic Practice: Knowledge, skills, and competencies have been carefully developed for physicians and registered nurses in collaboration to perform procedures and treatments that enhance or correct various skin conditions. 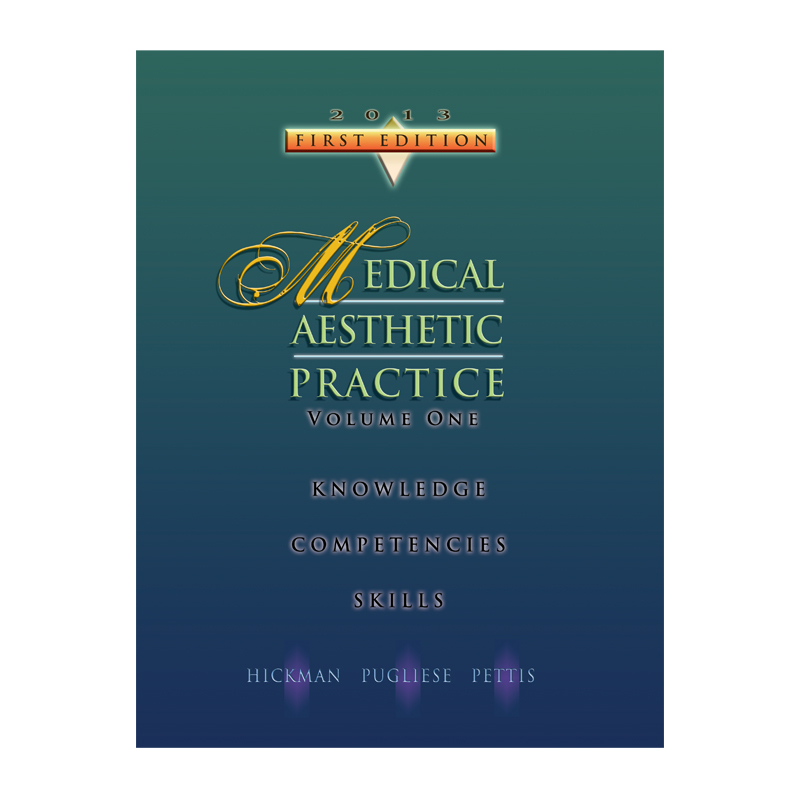 The most comprehensive-friendly aesthetic textbook. Great learning and review features include key terms listed in the chapter, critical thinking exercises, clinical research questions and professional treatment plans. The most complete and cutting-edge information available. Volume 1 will introduce the skin care specialist to the fundamentals in 12 areas of skin science and then cover specific areas of Functional Cosmetics and Skin Penetration, Cosmeceuticals, Chemical Peels, and Small Vessel Sclerotherapy. Provides knowledge, skills, competencies, and supervised work experience to practice professional skin care through standardized protocols in the specialty area of medical aesthetics. Specific knowledge of setting up an aesthetic medical practice, knowledge and safety issues for equipment and storage of chemicals. Basics of marketing, interviewing, malpractice, role of the medical director, professional conduct, and professional organizations.